(Kemptville, ON.) 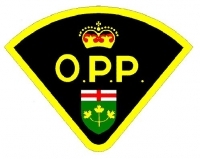 - Grenville County Ontario Provincial Police are investigating a pedestrian fatality on County Road 43 at Anniversary Way, North Grenville. At 10:00 p.m. on 17 June 2017, four pedestrians were crossing County Road 43 when a 63 year old male from North Grenville was struck by a westbound vehicle. The male received life threatening injuries and was transported to the hospital and pronounced deceased. The driver of the vehicle was transported to the hospital and treated for shock. North Grenville Fire Department, Leeds and Grenville Emergency Services, the OPP Technical Traffic Collision Investigation Unit and the OPP Forensic Identification Services Unit attended the scene. The road was re-opened shortly after 3:00 a.m. on 18 June 2017.